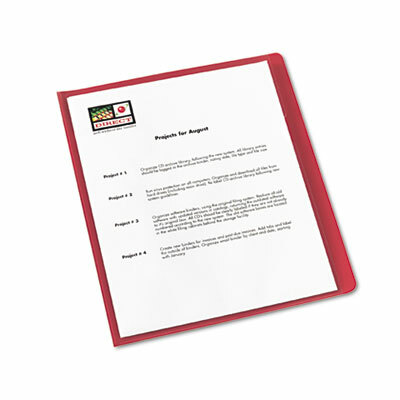 Protect documents with durable, extra heavy poly. Thumb notch for easy access. Protect documents with archival-safe extra heavy poly. Nonstick cover won’t cling to your papers and peel away type. Distinctive colors mean papers won't get lost in the shuffle. Sealed on two sides to hold loose paper snugly. Edge of back cover extends for convenient handling or storage; thumb-notch on front cover for easy access.